The smartphone market is growing at a very faster pace. Now people are searching for phones that suit their personality as well as provide the latest feature. This has led to a very competitive marketplace for smartphones makers. Developers understand the needs of people that’s why they are creating such type of high-end smartphones with lots of features. But getting a high-end phone is not easy for everyone because you also have to look at your budget. If you are searching for a perfect smartphone that is also pocket efficient with you, then I’m going to tell you about a brand new small budget smartphone with all features. So let’s talk about Ulefone Paris 4G Smartphone a budget friendly phone with amazing features that is available for presale with huge discounts at the online marketplace – Gear Best. 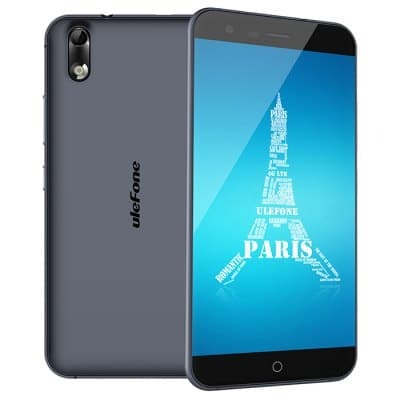 Ulefone Paris 4G Smartphone comes with 5.0-inch capacitive touch screen. It has IPS+OGS HD display with 1280 x 720 (720 HD) resolution that is good for vision as well as perfect for touch. 720p HD display provides enough sharpness as well as saves a considerable amount of energy that is helpful in boosting the battery life of the phone. Its Ultra-light metal frame and CNC technique with Corning Gorilla Glass 3 and thickness of 8mm gives you a smooth elegance. The Paris 4G Smartphone has 14.45 x 7.17 x 0.8 cm dimension light weight of 0.125kg that provides you a convenient experience. Ulefone Paris 4G Smartphone has Android 5.1 Lollipop with U launcher that provides you easy, fast and smoother operations. It comes with 2GB DDR3 RAM and 16GB eMC Flash Drive. The smartphone is packed with 64bit MTK6735, 1.3 GHz Octa-core processor that provides you an incredible speed and stability in your work with long lasting energy. Its powerful processor allows you to run multiple applications at the same time without any interruption. It has Mali-T720 GPU and external memory expansion slot that supports TF card up to 128GB. It means more storage for your files, music, etc. It has Gravity Sensor, Gravity sensing, GPS, a micro USB port as well as charging port and has a 3.5mm audio out port. It also has some additional features like – E-Book, Wi-Fi, mp3, 3G, mp4, People, Bluetooth, Live Wallpapers, and Browser. It supports various media format. Second generation Bes Flawless audio processor improves audio clarity while you are on phone calls. Bes Smart 2.0 provides an increase in volume and deeper bass that provides you an excellent music listening experience. The Ulefone Paris 4G Smartphone comes with a powerful battery capacity of 2250mAh that never stops your fun. Ulefone Paris 4G Smartphone comes with a 13.0MP rear camera with a flash light that gives you a brighter image as day even at night or in dark place. The phone has a good quality camera that helps you in keeping your memories live with just one click. It also provides a 5MP front facing the camera for video calling and wide angled camera for a group selfie. Beauty Mode Face AE technology provides you excellent images by default. So never miss your selfies with your friends, relatives, and loving ones. For a limited period, Gear Best is offering Ulefone Paris 4G Smartphone at a huge discount rate of $129.99. Being a special reader of TechReviewPro, you may avail this offer till October 8th, 2015. 9 Reasons Why You Should Buy Wearable Tech Gadgets Like Smartwatch?